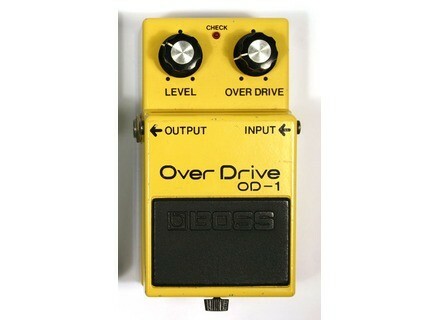 OD-1 OverDrive, Overdrive pedal from Boss. 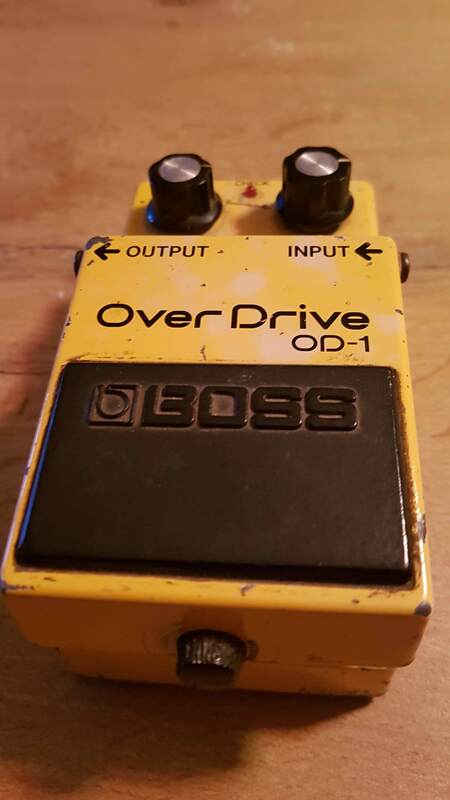 Product replaced by the Boss OD-2R TURBO OverDrive. Boss introduced this pedal back in 1977 and back then most guitar players were using a fuzz box to get their distortion tone. This was not that type of circuitry so there was some backlash to this pedal but as the guitars tones were changing more and more people started to pick up this pedal. This would be one of the pedals that set the stage t what would become some of the most legendary Boss pedal of all time and for that much some of the best overdrives pedals of all time. 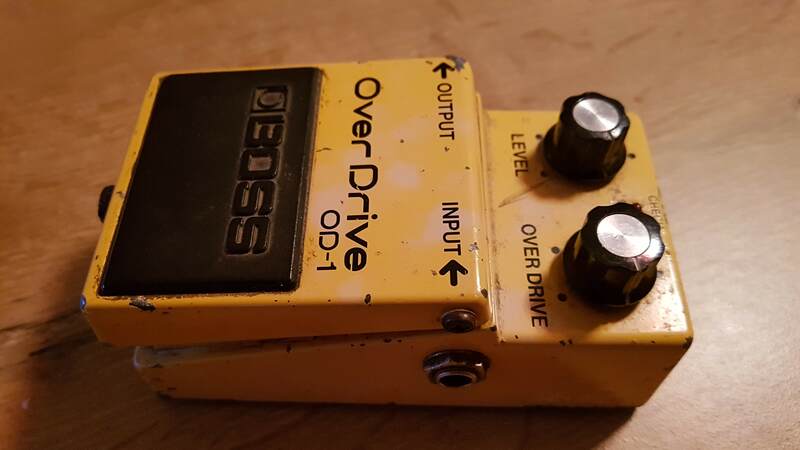 This pedal is more of an overdrive pedal than it is a distortion pedal. It does distort but give the necessary drive that breaks up the front of an amp to get a good low gain distortion tone. This pedal sounds pretty good in front of an already overdriven amp. There isn't loads of distortion in this pedal but what many would consider a boost pedal compared to today's standard in high gain and distortion. It only has two control knobs and there really isn't much to dial in to get a very usable tone from this thing. 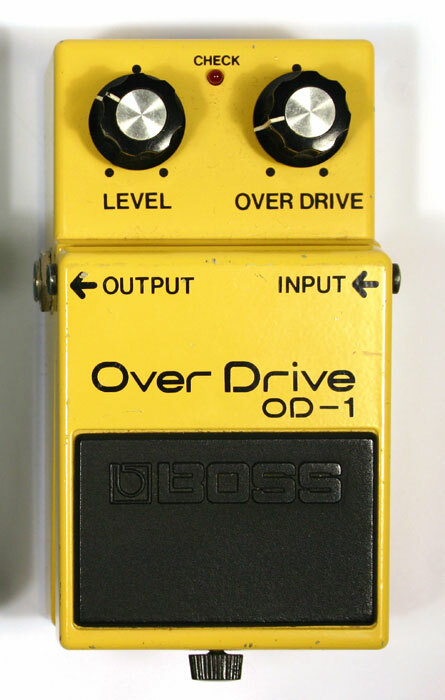 You have level for your overall volumes and level and then there is overdrive which is your gain and distortion. There is no tone control knob as you would see in later pedals. This pedal sound best in front of an already overdriven amp. It is great for getting that extra sizzle and sustain. The pedal also works well if you need a light drive for some bluesy tones with the neck pickup of a Fender Strat. These pedals would be manufactured all the way up until 1985. They are obviously discontinued and the use market it the only way to go at this point. They have more revisions on this pedal and four of them are floating out there. 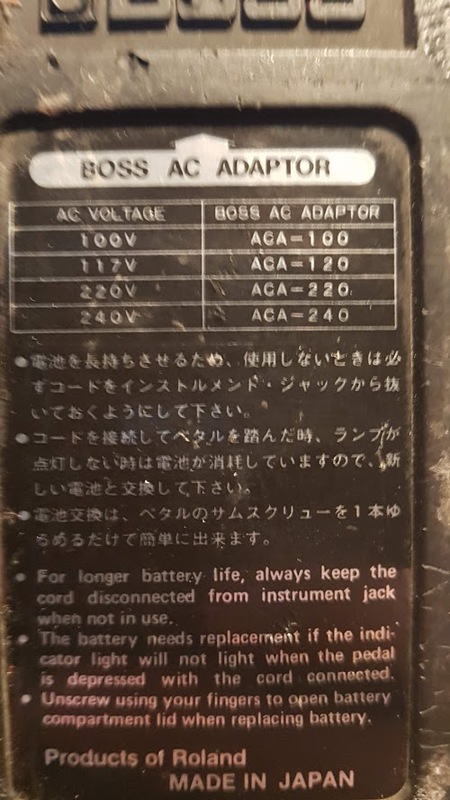 They all sound pretty much the same and all were made in Japan. 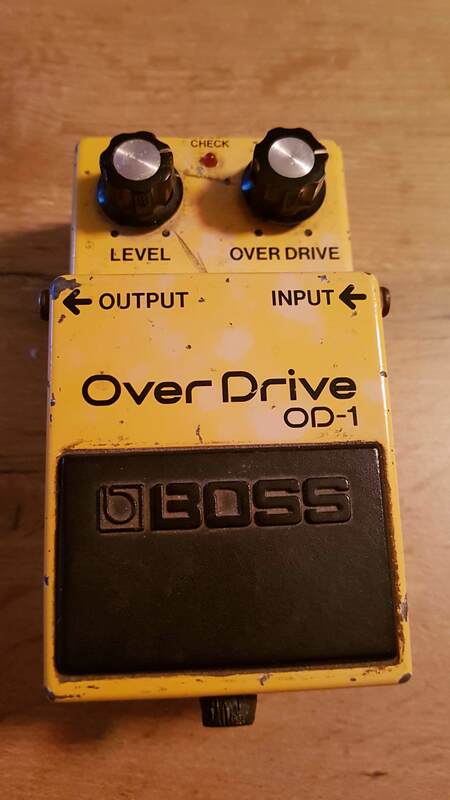 Boss would then replace this pedal with the Boss OD-2 and then more versions after that. Hatsubai's review"The SD-1's older brother"
The Boss OD-1 was the predecessor to the now famous SD-1. It's a very similar pedal in many ways, except this pedal only has a level and gain knob. There is no tone knob like there is on the SD-1. This pedal is a great overdrive that works awesome with Marshalls. With the gain off and the level cranked, you get this wonderful overdriven sound on amps such as the JCM800. It gives it this really angry character but still sounds fairly natural. The same can't be said for the DS-1. When you start cranking the gain, you can really get into some pretty high gain territory, but you want to be careful as there's no tone knob. You'll want to watch the brightness as it might get too harsh for some people. Since the SD-1 is around, this pedal is losing its relevance fast. It's also not as easy to find on the used market as the SD-1 is, and there's actually a good reason for that. The SD-1 is fairly close in tone, and the SD-1 is more versatile, so this pedal is mainly reserved for people who need "that" sound when trying to mimic some old school sound. 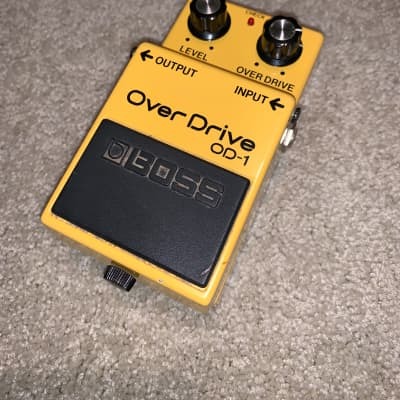 If you're looking for an overdrive pedal, I recommend getting the SD-1 or the TS-9 instead of this. Just 2 knob. essentially is, relatively few components, made with a more raw and authentic that a sd1. one bit change in an sd1 OD1 in suprimant components tone circuit, which affects and changes the sound. Overdrive enough really rock dominated by medium frequencies. quite rock, but not fantastic live branch on a clean amp. use on the micro bridge of a guitar may not be great at all. I prefer him OD2 bosses. 2d sound a bit DePass but which may have its interest. Better plug into an amp already very well or well rod rod or hook on the sleeves or central microphones I think. often premium because rare today. it has its charm. HUGE! Over medium fat drive, the drive master approaching. But also the Valvestate is not the same. Coupled to a DS has a tone of course zero. it changes everything. we put more and more effect behind it removes his soul. especially no equalizer derriere.J have not seen the light but it must be somewhere in there! is not a multi purpose, it has a sound.